If you are planning a trip to Mexico just to relax in its beautiful beaches and cannot choose which one has the best landscape… keep calm, cause we have selected a top three to make the hard work for you! Playa del Carmen is a popular tourist destination for both domestic and international tourists which offers a chic destination with European influences, but is also an area surrounded by a very distinctive natural beauty. There are many possibilities: to relax in the crystal waters and pristine beaches or to play an exciting sea sport while enjoying the sun, water and sand. We must not forget the city center where we will find musicians, craft vendors and nightclubs where you can fancy the best electronic music parties. 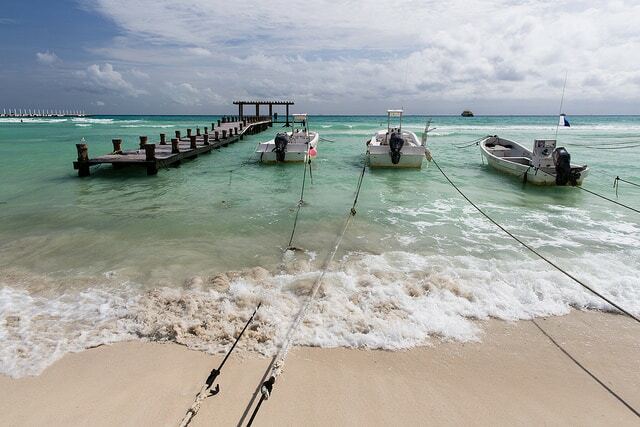 Although Playa del Carmen does not enjoy the great prestige of other Mexican beaches such as Cancun or Acapulco, this destination is gaining tremendous popularity because of its incomparable pristine beaches. Playa del Carmen, as well as other beautiful and popular beaches of Mexico, requires that you make a reservation to then go and just enjoy! Click the next ARROW to see the next image!